A locally owned company with a family roofing heritage that dates back to 1935. Our basic philosophy is to meet or exceed industry standards. We specialize in roofing only. We do commercial and residential. Formed in July 2005, just a month before Hurricane Katrina struck, Magnolia Roofing & Exteriors has helped countless families get their homes re-roofed and repaired so that they could get on with their lives. 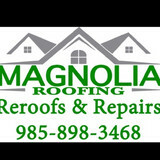 Magnolia Roofing is a local, woman owned business. Owner Julie Bell has been a resident of St. Tammany parish since 1987 and prior to starting the business, had over 20 years in accounting and as an operations manager. Julie handles all aspects of the business; finances, estimating, crew management, schedules the jobs and ensures that all roofing materials are ordered and delivered to the job sites. She communicates with the customers to be certain they understand the work to be done, the estimated time and materials needed and that they are pleased with the end result. And if it comes down to it, she will even get on the roof to give an accurate assessment for your roofing repairs! 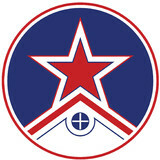 Magnolia Roofing, LLC was formed in May 2011 to focus on commercial roofing work. We hold commercial licenses in both Louisiana and Mississippi. 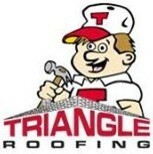 Triangle Roofing is a family owned business since 1979. We hand nail shingles and specialize in flat roofs. 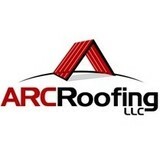 With over 20 years of experience, the professionals at Arc Roofing LLC offer primarily residential with some commercial roofing services throughout the Southern Louisiana area. Our dedicated roofing specialists provide knowledgable, high quality work through roof installations, roof replacement, roof repair, flat roofing, shingles, and custom flashing. As a trusted Metairie roofing contractor, we complete our work to your complete satisfaction with excellent customer service. Juneau Odenwald Roofing Inc. was founded in 1996 and provides professional roofing including commercial roofing, residential roofing, roofing repairs and sheet metal fabrication services statewide throughout Louisiana, Mississippi & Texas. We have offices in New Orleans, Mandeville and Baton Rouge including our primary fabrication and warehouse facilities in New Orleans. Juneau Odenwald is more than just another local Louisiana roofing contractor. We have the experience, safety record, equipment and manpower to handle any large scale roofing project. We are also licensed and fully bonded. Of all the roofing companies in Louisiana, Roof Crafters is one you can trust to treat your home as if it were our own. That's because Roof Crafters is a local roofing contractor with deep Louisiana roots. For our fellow homeowners throughout south Louisiana, we are proud to be the reliable roofer they can call for a leaky roof repair, a new roof replacement and every roofing service in between — even for help with insurance claims. Home Bright Home Improvements is a roofing contractor / roofer serving the Kenner, LA area since 1993. Services include Roofing, Roof Installation, Roof Repair, Shingle Roofs, Tile Roofs, Flat Roofs, Roof Coating, Roof Vents, Gutters, Gutter Repair, Gutter Guards, Vinyl Siding, Fiber Cement Siding, Wood Siding, Siding Repair, Replacement Windows and Home Improvement. Home Creations Inc. has been providing metal roofing and siding systems to the New Orleans and Gulf Coast region since 1986. Welcome to Cangelosi Roofing! We specialize in providing our customers with a high quality roofing service with a long history of extensive experience. Has your roof been damaged by a severe storm? Or do you just need to replace your roof? What ever your need may be, we are here to provide you with exceptional service! Established as a premier roofing company specializing in various types of roofing systems, including BUR, single ply, modified, rubber, slate, tile and standing seam. Our sheet metal shop both fabricates and installs all types of metal systems, gutters, downpipes, metal roofing, fascia, and mansard systems. The Mackie family has been providing commercial and residential services to the greater New Orleans area since 1965 and it is now directed by the second generation of Mackie professionals. The workmanship of our family can be found in roofing systems throughout New Orleans and the metropolitan area for government and private-sector clients, including: showcase homes, public schools, universities, shopping centers, office buildings and industrial parks. Our experience includes simultaneously managing multiple projects, crews and budgets. Backed by on-budget and high-quality project completions. Titan Exterior Contractors, L.L.C. is the answer to all your roofing and exterior siding needs. For years, the experts of Titan Exterior Contractors, L.L.C. have been providing Southern Louisiana and the Mississippi Gulf Coast with the highest quality products and services. Our mission as a company is to provide outstanding customer service, quality work, and focus on client satisfaction. Titan Exterior Contractors, L.L.C. is dedicated to helping Louisiana homeowners and commercial building owners maintain the look and value of their properties by offering professional roofing, siding, and gutter installation and repair services. Our workmanship is guaranteed, and we stand behind our commitment 100%; this is based on fact that over 90% of our business is generated through referrals and repeat business. Omini Homes is your total restoration solution! We specialize in building and in all cosmetic repairs. Our professional staff is well trained and prepared to offer complete satisfaction. By treating each customer with respect and offering a longer warranty. We build a lasting relationship with every client. Referrals from past clients are one of the most important goals of our company. We meet every customers need when it comes to their homes. By offering a large selection of building options. We can meet any budget set before us. Feel free to browse the rest of our website and see the services that we offer! JLM REMODELING was founded in the 2005 . Jeff was a roofing apprentice to his father for over ten years, Jeff has a wealth of knowledge and experience in all facets of roofing. 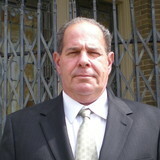 Jeff has also taken many courses on the subject of roofing, so he can stay up to date with current trends. JLM REMODELING currently employs 10 professionals, so no job is to big or to small. We have a large assortment of professional equipment. We run background checks on all of our roofing professionals. We protect you and our employees with Workers compensation insurance. JLM REMODELING is a member of the Better Business Bureau and has received an A rating from Angies List. JLM REMODELING is frequently recognized for integrity and reliability. For Sales & estimates call 985-705-1570. A home or commercial roof is among the biggest investments you'll ever make. So when you choose, choose the best! What do roofing companies in Lacombe, LA do? Your Lacombe, LA roofing contractor can install a new roof or repair an old one, as well as repair and replace gutters. Good roofers in Lacombe, LA should be able to promptly inspect roofs and gutters to assess damage after a natural disaster or other event, and give you an estimate for the necessary roof repair immediately. Some Lacombe roofing companies specialize in specific types of roofs, such as tile or metal, so make sure the one you are interested in works with the materials you have or desire. Find a Lacombe roofer on Houzz. Narrow your search in the Professionals section of the website to roofing companies in Lacombe, LA. If you’re planning a large-scale project, find other professionals on Houzz who can help get the job done. Here are some related professionals and vendors to complement the work of roofing & gutters: General Contractors, Specialty Contractors, Siding & Exteriors, Door Sales & Installation, Garage Door Sales & Installation.